I’d always wanted to go to Iceland. As a travel wonderer at heart, Iceland was one of those mystical places that highly appealed to me. It seemed to have it all: Incredible nature, explosive landscape (consisting of some of the largest glaciers in the world and several active volcanoes), a small, easily accessible country, loads of active opportunities and a culturally-rich capital city. Of course I’d heard about its soaring costs (this was before the financial crisis) yet the pros definitely outweighed the cons so in early August 2008 I found myself on a non-stop flight from Minneapolis to Reykjavik along with my father to the land of fire and ice. Over the last ten years, this once rather isolated island has become one of the hottest travel destinations in the world. Tiny Iceland, which has a population of a little over 300,000 people and a landmass about the size of Virginia, is geologically a very young country that is still in the process of formation. Iceland was first settled by the Vikings in the 9th century AD and shortly thereafter, established the first parliament in Pingvellir in 930 AD. Hundreds of years of dominance and control by other Scandinavian countries such as Norway, Denmark and Sweden finally gave way to Iceland’s independence in 1918. It is often said that this violent, turbulent past similar to that of Iceland’s mighty, active volcanoes, lead Icelanders to become the highly resilient, individualistic, creative and proud people that they are famous for. How else would they have survived? For me, going to Iceland was a real feat. It had nothing to do with logistics. Fortunately I had the money, the time and the babysitting (my wonderful Mom) all lined up. Instead, it had to do with the fact that only six months earlier I had broken my left foot and spent five long, agonizing, brutal months in a boot. For someone like me who is incredibly active (I run year-round rain, snow, sleet or shine; hike; walk; bike; golf; inline skate; and chase after my children non-stop) the news that my foot was broken was like a hammer being slammed into my heart. I was devastated. Ok, you may wonder how does one go about breaking their foot? Well, this is a rather embarrassing story so I’ll try to make it short but sweet (but knowing me, that is impossible). I was walking hand in hand with my three-year-old son across the street to the pharmacy, both of us sicker than a dog, and saw a puddle. Instinctively, I took my right arm and flung his thirty-plus-pound body over the puddle. I obviously didn’t know my own strength and his body flew across mine, tripping me, and knocking us both down smack into the pavement….W-H-A-M. As we fell, my left foot slammed into the edge of the sidewalk at full speed and for an instant I could not even move. We were both crying and in the middle of a busy intersection. Not one person stopped to help! I couldn’t believe it! We live in Minnesota for God’s sake,land of the infamous Minnesota Nice. After a minute or two of being motionless on the ground, comforting my bawling son, I was finally able to stand up. Something didn’t feel right. My left foot killed. I got up hesitantly, limped slowly into the pharmacy, got the cold medicine I needed and drove home. Feeling utterly miserable with a terrible cold, I ignored the pain of my foot. It was throbbing(yet so was my head) so I put a huge pack of frozen blueberries on it. I peeled down my sock and examined my foot carefully. It was in a rainbow of different shades of black, blue and yellow. My first reaction was “Yuck”! It looked like something on a dead person’s body. It didn’t look good yet I was too sick to care. I spent the next two days in bed with a terrible chest cold, still icing my foot and trying not to walk on it much. Every time I stood up, I felt a piercing pain and it throbbed constantly. Silly me,though, did not go to the doctor. I had never broken a single bone in my body thus I thought it was just a bad bruise or strain. A week later, after fully recovering from my cold I decided it was time to get back into my regular workout routine. It was February and cold as hell but that didn’t matter. I run year round and in fact, actually prefer running in the cold, dry air. It calms my body and soul and is pretty much the only way I can survive the long, cold winters of Minnesota. I got on my running shoes, bundled up in hat and gloves and set off for the lake. To ease into it, I decided to try walking first. I walked the first couple of blocks and it still ached. But I didn’t quit. I had to workout. I’m a diehard, exercise freak and running especially is a requirement for my mental health. I need the release that running provides me. I have too much energy and too much tension. Despite the excruciating pain in my foot, I would not quit. I continued to walk in the bitter cold and gray skies until about twenty minutes later I had to turn around. The pain was worse and becoming intense. Something was not right. I limped the next mile home, iced my foot some more yet still did not go to the doctor (yep I know stubborn and stupid). Finally, over two weeks after the sidewalk tripping incident, I finally decided to load my two kids into the car and head over to the doctor. The doctor, who also happens to focus on sports medicine and injuries, ran an x-ray of my foot and came in with the grim news. I had a four inch fracture running across one of the major bones on left edge of my foot. He couldn’t even believe I made it so far without coming to the doctor and confirmed that I must really be able to withstand pain. Yeah, right! He didn’t know about my almost immediate epidural at the very onset of labor with my two children. I was quickly “booted up” in a knee-length black boot, given a pair of crutches and the contact information for a foot specialist where I would get further x-rays and consultation. What? I thought in fear. How on earth was I going to drive home in a stick-shift car, wearing a boot and using crutches with two young kids, one of them only a little over a year old and hardly walking! I saw the specialist the next day and the news was bad. My foot was indeed broken and I would have to be on crutches for a minimum of two weeks and another six weeks in a boot. I was heartbroken and stressed out as my daughter Sophia still slept in a crib and needed assistance with everything,and my son Max was an active, high-energy three-year-old who was always on the go. There was no way I could care for the children on my own while my husband was at work so in came my in-laws, who drove the fifteen hours straight from Virginia to help me manage. After six weeks in a boot, I returned to the foot specialist hopeful that this would be the end, however, secretly I knew my foot stillthrobbed and ached and that it probably was not healed. This song and dance continued for another four long, brutal months, as spring slowly moved into the long-awaited Minnesota summer and I was becoming more and more desperate and depressed. Every time I went back to the doctor and she brought in the x-ray, I knew the bad news…it had not quite healed. I was always filled with tears. What was supposed to take six weeks to heal ended up taking me five months, through the heart and soul of summer with two young kids running up and down the sidewalk and me, slowly gimping after them suited up in a knee-length boot. I could hardly go to the park, could not go to the beach or pool and was getting more and more depressed about the situation because outdoor activity is my lifeblood. After a long, cold winter I had missed almost the entire summer being confined to a boot and could not enjoy running, walking, biking, skating, swimming or any of those other joys of a Minnesota summer. As the heat of summer intensified and the Iceland trip approached, I began to worry that I would not be able to go. I had earlier gone on a trip to Virginia to visit my in-laws and could hardly walk the length of the airport. If I was instructed to only walk a couple of blocks at a time, how on earth would I be able to travel to Iceland and hike for days on end? I got fitted to another boot, an air-boot, that was lighter weight and not so hot. That helped the situation a little. Then, a few weeks later, I got a “sandal” cast which allowed me to actually go in the water at the pool. About two weeks before I was to leave for Iceland, I finally received the much-anticipated news that finally, after five long months, the break had healed and I was a free woman! 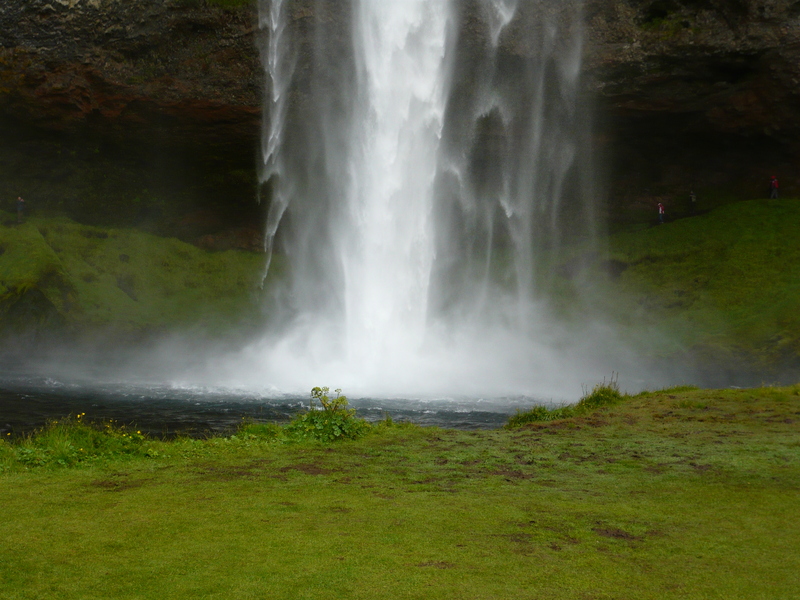 Stay tuned….next post will be on culturally divine Reykjavik. You certainly have managed to see a lot of the world! What bad luck you had with your foot – and incredible to me that no one stopped to help. I bet you have see a far amount yourself based on your earlier comments! 🙂 Yes, I was shocked that I laid there for minutes and no one stopped. It is so “un-Minnesotan” as we mid-westerners are known for our niceness. BUt then again, Minneapolis is becoming a big city now so who knows. I have seen people stop to help others who feel off their bikes and so forth so maybe they just didn’t know what happened or why I was laying there crying! Anyway,Iceland was such a treat after all of that. THe more I remember and write about it, the more I remember how much I loved it! Thanks for this! Heading to Iceland next year to celebrate our 10 year wedding anniversary. Fantastic! How exciting! I will write about every spot with hit with detail and hope that I intrigue you and manage to cover places you may want to go. What a fantastic place for an anniversary! 🙂 Also, are you going in the summer? June, July and August are the best but there are lots of other things to do outside of those dates. I saw the title of your post ‘Absolut Iceland,’ and thought wow that’s a great picture, I’ve always wanted to go to Iceland. Then I read your first line (laughed) and read the entire post! I so need to make it there one day! Yes, it is an amazing place! I have loads of pictures to post so I will as soon as I get the time! It will definitely make you want to go and you are just a hop skip and a jump from there! Thanks for your comment! The foot was definitely very difficult however it was even more difficult trying to keep after my two young kids in a boot! That is probably why it took so incredibly long for it to heal! More pictures to come….may take longer though as I have my parents in town for the week so it is very busy here! Stay tuned….